What’s small and red and tart and Americans eat 10.8 Billion of each holiday season? That’s right—Cranberries! I want to explore how the Ocean Spray collective, the sellers of a holiday dinner staple—the dark red tube of cranberry goodness (cranberry sauce)—thinks about marketing a holiday-favorite throughout the whole year (Hint: it *might* have to do with engagement). Here’s a little history on cranberry sauce and the Ocean Spray collective before we dive into a marketing focus. Cranberry industry folklore tells us that the cranberry was a seasonal fruit until about 100 years ago when an enterprising lawyer-turned-grower named Marcus L. Urann realized that the berries he harvested exceeded demand. Urann hated to see good fruit go to waste, so he perfected a tasty sauce that he canned and called Ocean Spray starting in 1912. The Ocean Spray Cooperative was formed 18 years later, and the “log” or jellied cranberry sauce became an example of industry innovation and has driven cranberry sales ever since. Since Ocean Spray’s founding in 1930, their big vision for the tart little cranberry has translated into tremendous growth—over the past 10 years, the Cooperative’s sales have nearly doubled in size to $2.2 billion. After learning about the Ocean Spray story, and observing how they market, I believe they do a great job engaging their customers and buyers. 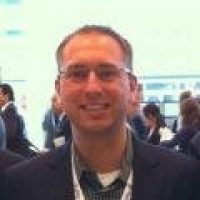 I want to recognize the great work they have done and continue to do—especially how they market to buyers continuously over time, and how they market to buyers wherever they are. The little cranberry is no longer just a holiday-centered product. Americans consume over 400 million pounds of cranberries each year, and while 20% of those are consumed as part of Thanksgiving festivities, this uniquely American fruit is now popular all year and all over the world. Ocean Spray has developed several marketing channels and efforts to reach their customers. 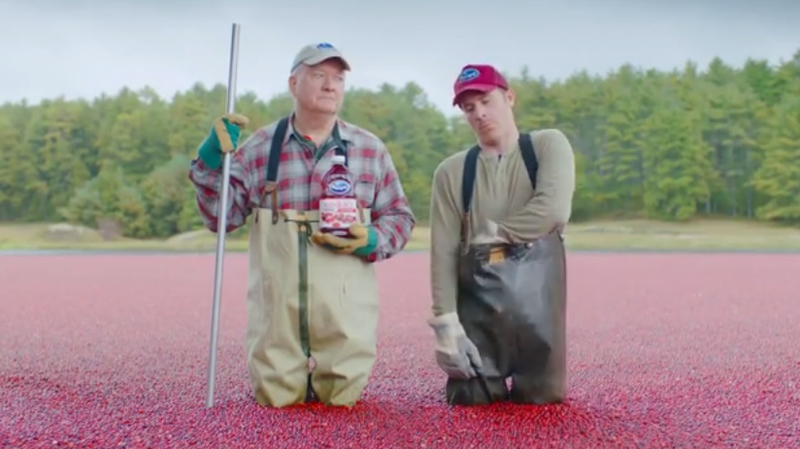 From TV commercials (think the old guy in the cranberry bog), to email marketing with their “Cranberry Club”, to their blog and inserts in local periodicals, newspapers, store marketing and more—Ocean Spray markets to buyers wherever they are and seeks to build continuous relationships over time so people feel connected to them and buy cranberry products all year round. I joined the email based cranberry club in July of this year and was able to see what Ocean Spray sends to consumers. This email newsletter is sent approximately once a month and contains creative recipes, coupons and more. In the spirit of providing a continuous experience across channels, Ocean Spray also uses their great website and blog to reach customers. They have excellent TV commercials (Bog Men commercial below) and they do several in-person events. Lastly, they have also invested in an active social presence on Facebook (Over 1MM Likes) and Twitter (20k followers). I’m impressed with how Ocean Spray has turned this little fruit into not just a holiday item, but into a year round billion-dollar business by looking to the future of marketing and practicing great marketing techniques. Learn more about the principles of engagement marketing in our ebook: The 7 Principles of Engagement Marketing. But, let’s hear from you—what organizations do you see doing a great job engaging with their customers? Please share in the comments below.